Like peanut butter and jelly, as well as cheese and tomatoes, some pairings simply make sense. On the surface, e-commerce and social media should fall under this umbrella as well. After all, there are millions of active users across different platforms, and it’s fair to assume that many of them are avid shoppers. 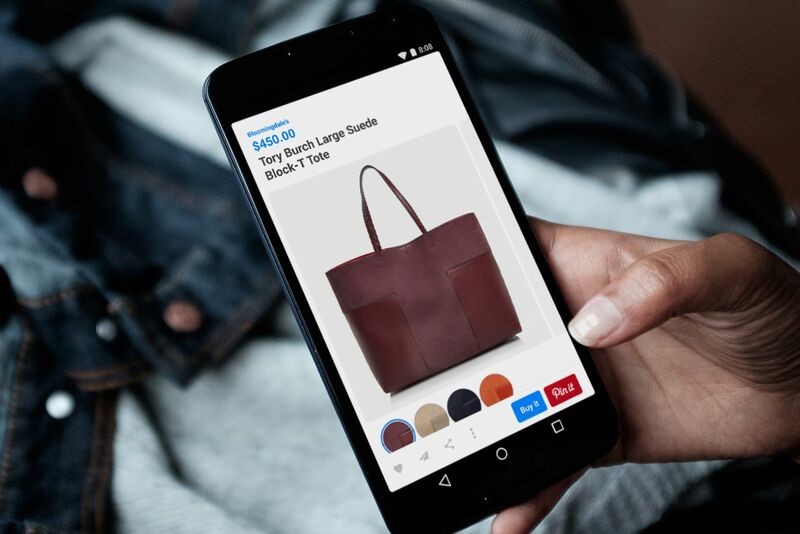 Pinterest has taken notice of this and, months after unveiling their “buyable Pins,” has taken the next step toward making its platform more e-commerce-friendly. Earlier this week, the aforementioned social media network unveiled The Pinterest Shop. For those who do not know, The Pinterest Shop is a system that allows users on the website to find collections of “buyable Pins,” categorized by specific items and goods. Essentially, whatever you can think of, it’s possible that it can be purchased directly off of the website. Of course, some goods and services seem to be more common than others. Fashion seems to be the hottest topic on The Pinterest Shop, as graphic t-shirts and designer handbags have become quite prominent on the website. Nonetheless, it wouldn’t be far-fetched to assume that there could be other easily purchasable items on the website. In fact, according to Digital Trends, IBM and Bloomingdale’s have offered their own slew of products. It can be argued that the service hasn’t exactly been scratched as far as variety is concerned. This hasn’t been the first time that a social media platform has toyed with e-commerce. A number of months ago, Facebook implemented its own “Buy” button, the goal being to allow users to purchase specific products advertised to them. They do not have to click onto a different website, as full transactions can be carried out on Facebook alone. E-commerce has played a role in social media growth in recent months, which I’m sure any online marketing firm can attest to. It’s not terribly surprising, then, that Pinterest has thrown its proverbial hat into the ring. If you’re interested in using The Pinterest Store, you can access it through your mobile device. Both iPhone and Android device owners can utilize it by accessing the Pinterest app, before directing their attention to the “Shop” section. Suffice it to say, utilizing the aforementioned store is relatively simple, which makes it all the more appealing for avid shoppers. Its ultimate worth remains to be seen, but it lends greater credence into the developing relationship between e-commerce and social media. What is your take on The Pinterest Store? Do you see yourself using it often, or do you believe it will fail to change your outlook on the website? Please leave any and all comments down below!